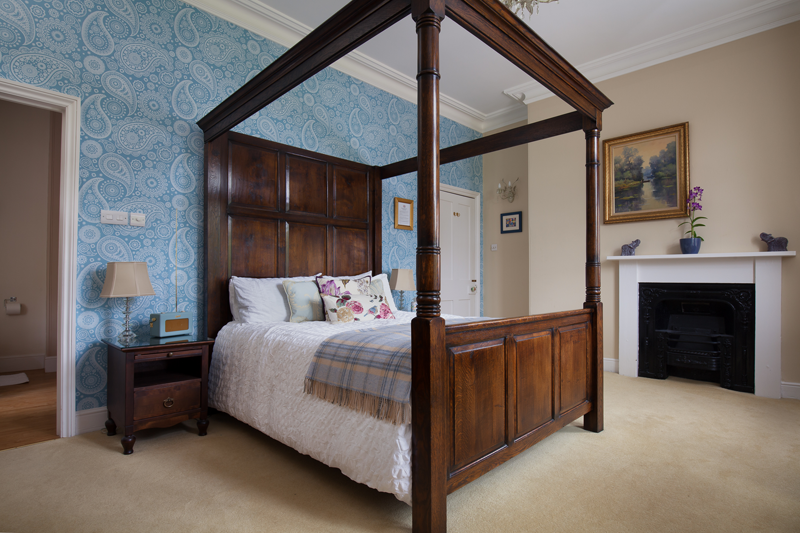 The Brooking Room is ideal for a luxurious weekend break or romantic getaway. It is named after the Brooking family who owned this house for 200 years. This large room has views across the garden towards Moreton’s Hill. 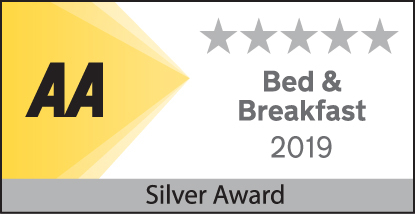 You will sleep in a magnificent hand made oak king sized four poster bed, topped with a duck down duvet and crisp white bedding. There is a TV (with radio) supplied, as well as a hairdryer and a small silent fridge stocked with bottles of mineral water, fresh milk and filter coffee. 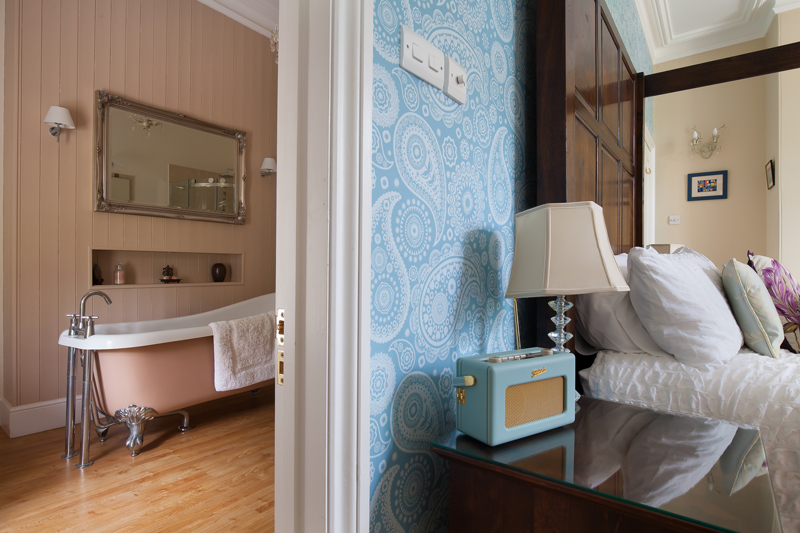 There is free wireless internet available in this room as well as in the drawing room. 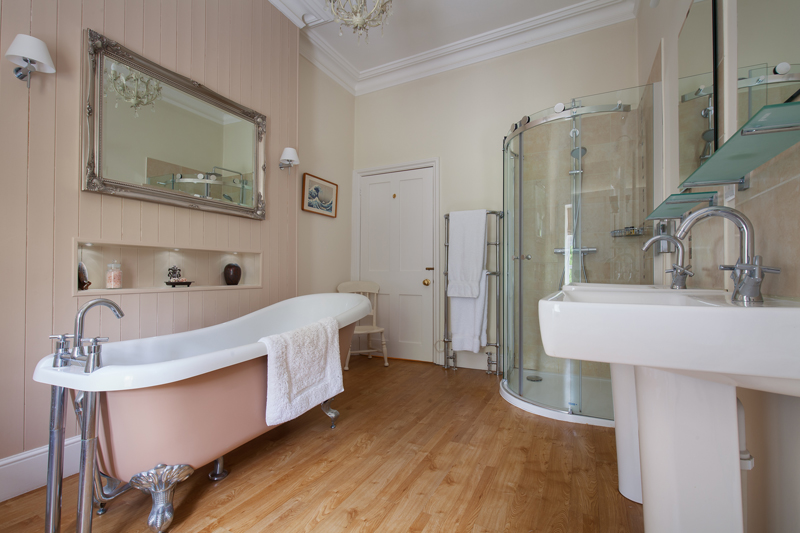 The spacious ensuite bathroom features a freestanding roll-top slipper bath, large separate shower and his and hers hand basins. Relax and soak in luxury with soft lighting and fluffy bath sheets warming on the heated towel rail. Luxury toiletries are provided.